Harnessing the power of the sun is something that Captain Planet made cool before it was the go-to for renewable energy. 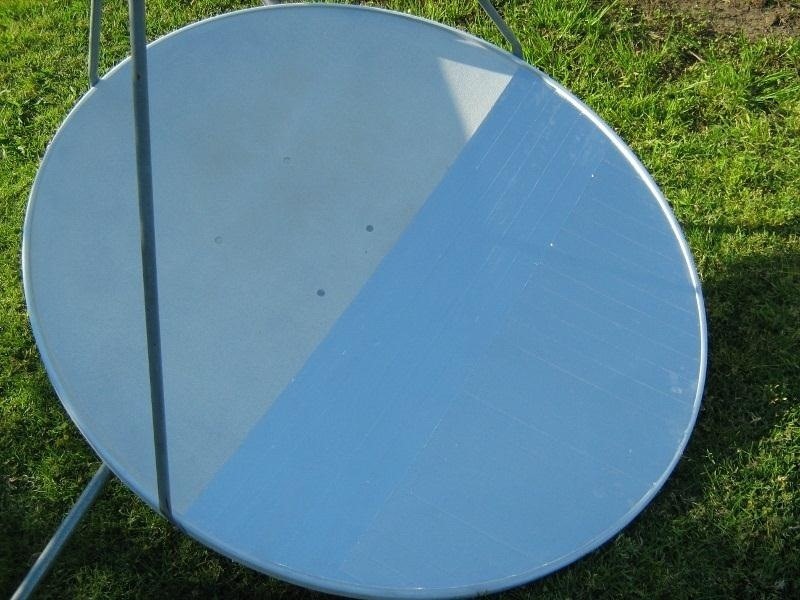 Solar-powered energy is quick and cheap, and can make for some really cool DIY projects. 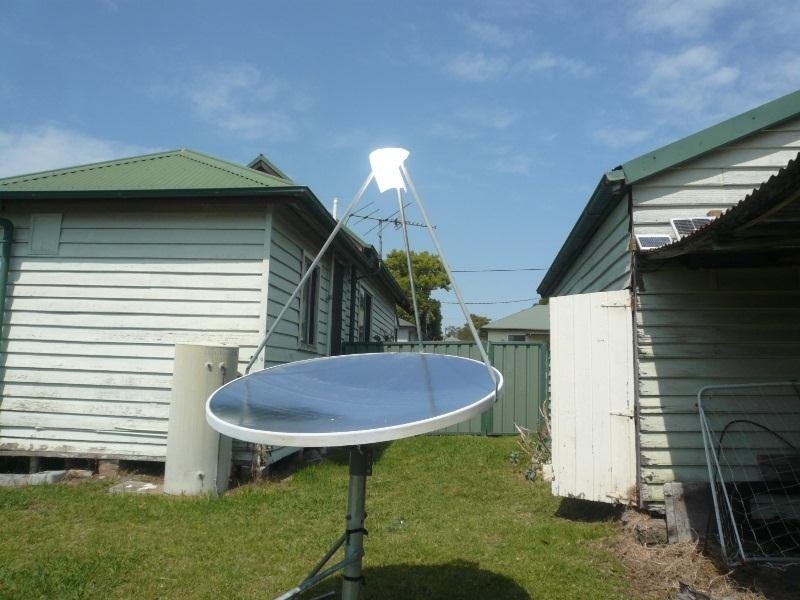 And for those of you wondering what you should do with your old satellite, look no further. 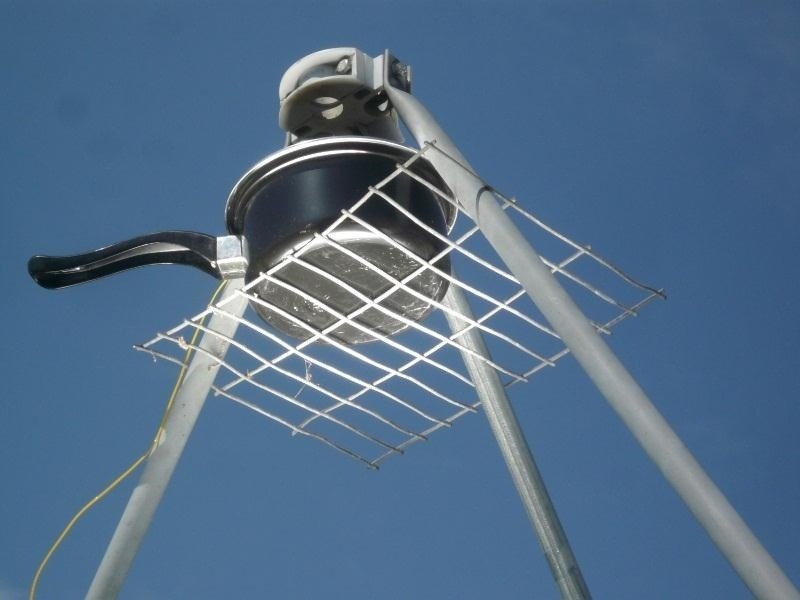 Aaron from Sharealikelicence offers up a way to create a DIY outdoor satellite cooker. 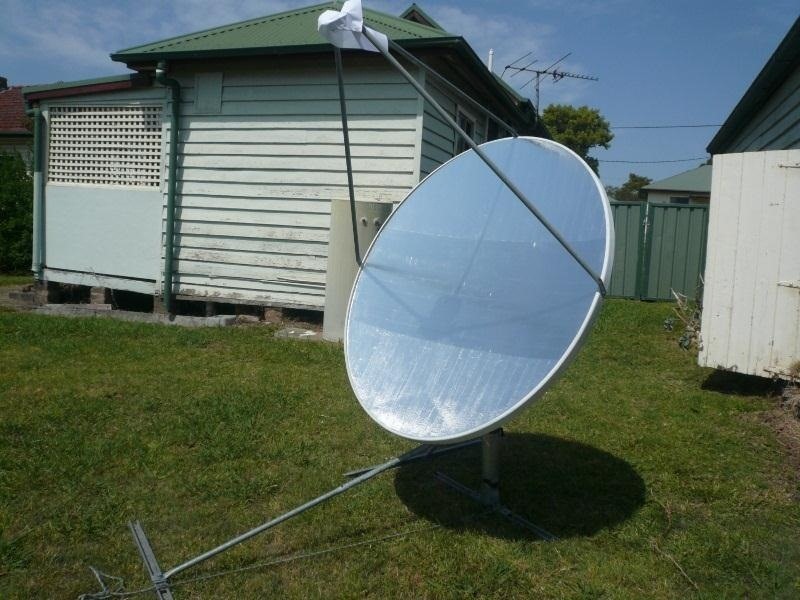 He started with an old Ku Band dish and covered it with aluminum tape, for better reflection of the sunlight. Once the curve of the dish became too severe, he started placing the tape vertically, so make sure to keep that in mind. 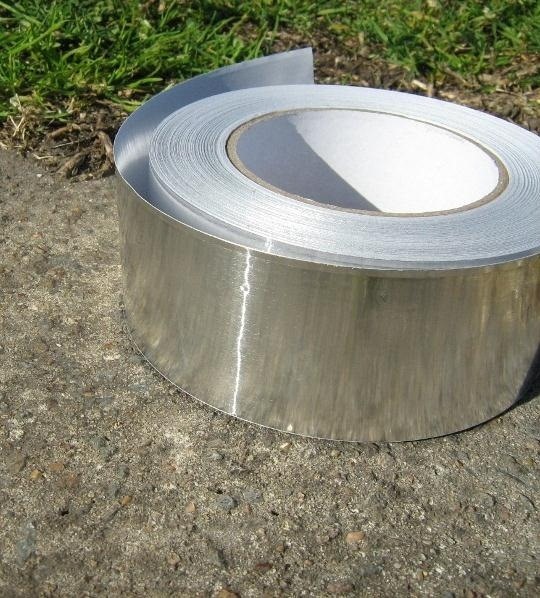 He uses the aluminum tape as a quicker, cheaper and comparable alternative to tempered or mirrored glass. Once all the tape is on, and the dish front is completely covered, it's time to angle it in the desired direction. While most satellite dishes are angled horizontally you are going to want to place the dish facing straight up. This way allows for the focal point (point where you are going to be cooking the food) to get a direct and even line of energy. 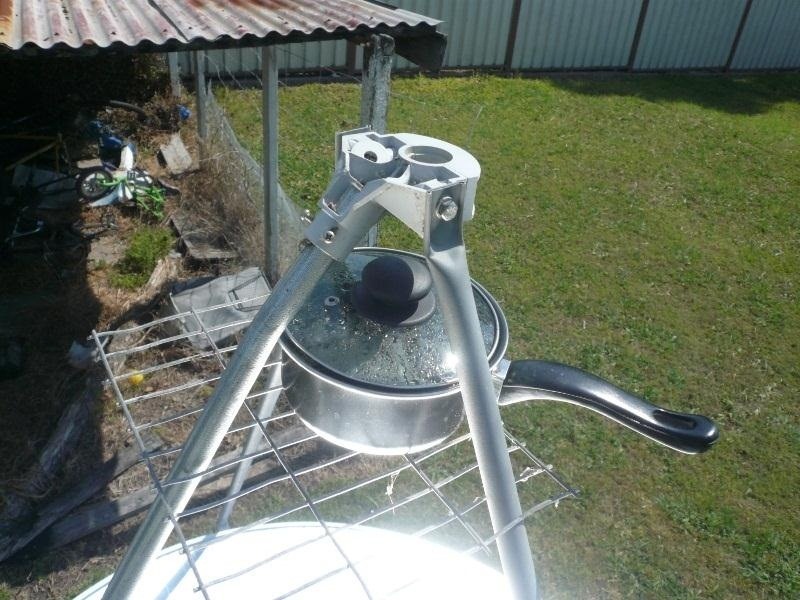 After he finished angling the dish, he went ahead and placed a cooking rack at the focal point. Since the dish is rather tall, he needed a ladder to reach the cooking rack, which could be a hassle when you are trying to cook something. But in the end he got a pot of 500ml to boil in about 14 minutes which is pretty impressive. So, the next time you want to make some Campbell's soup, try this on for size. Check out the complete breakdown on Aaron's blog page.